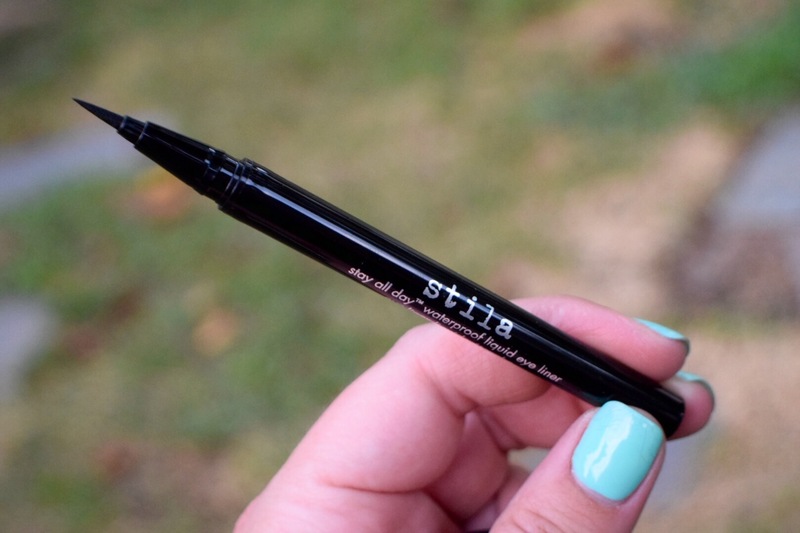 Stila Art Of The Fine Line: Review and GIVEAWAY! CLOSED! I have been extremely busy, as most, with the holiday bustle so I apologize for being MIA. I am returning with a perfect & hard to find GIVEAWAY! I first discovered Stila’s Stay All Day Waterproof Liquid Eye Liner at Ulta. I was complaining to the sales clerk that my cult favorite eyeliner kept drying out before it was empty. It’s so annoying to have to buy another one before it’s even empty. She suggested Stila’s Stay All Day Liquid Eyeliner in Intense Black and I’ve been hooked ever since. It retails for $22 at Ulta. I stumbled across Stila’s Art of the Fine Line set online at Nordstrom a while back. I took so long posting this review that unfortunately they no longer carry it. When I saw the set, I thought….how perfect? I do occasionally wear shades other than black but not frequent enough to buy the full size. It’s a good way to try other shades without paying full-price. I love this set so much that I hunted one down for this giveaway!! Our #1 selling waterproof liquid liner enables you to create a variety of eye-opening effects—from thin, precise lines to thick, dramatic looks. The formula glides on with ease, dries quickly and won’t smudge or run day-into-night. 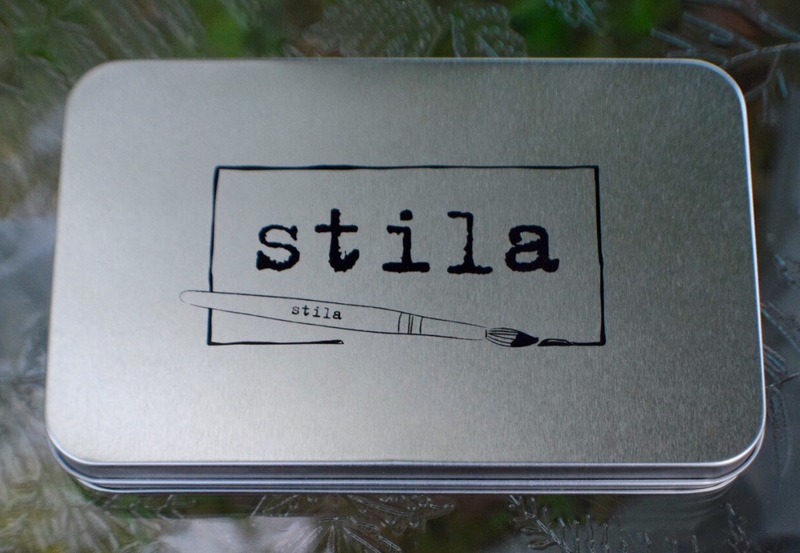 Stila’s Art of the Fine Line set comes packaged in a cute tin container. Inside there is one full-size eyeliner in the shade Intense Black and three deluxe-size shades in Midnight, Moss, and Dark Brown. There is even an insert that has instructions on achieving different looks. Although the sizes are different, all of the felt tips are the same size. Intense Black is exactly as stated, a bold black in a matte finish. Midnight is a navy matte, Moss is a green matte, and Dark Brown is a little deceiving because it’s more of a medium brown matte. As far as I can tell they all have the same formula and apply with the same ease and precision. To be honest, I have only swatched Midnight because it just doesn’t enhance my eyes as much as the other shades. These liners are super bold, glide on smooth, are long-lasting and have a very fine felt tips. You can get a very bold or very thin precise line if needed. I have oily lids so I always prime first, but I never have any issues with skipping or jagged lines. Liquid liners are the one thing I struggle to get perfect and with Stay All Day it’s just too easy. What I like the most is that it’s buildable if you work fast and doesn’t start crumbling if layered. It dries to a perfect matte in seconds and is smudge-proof. I wear this for 12 hours with no breakdown. I have owned this for months and none of the liners have dried out so far….huge plus for me!! 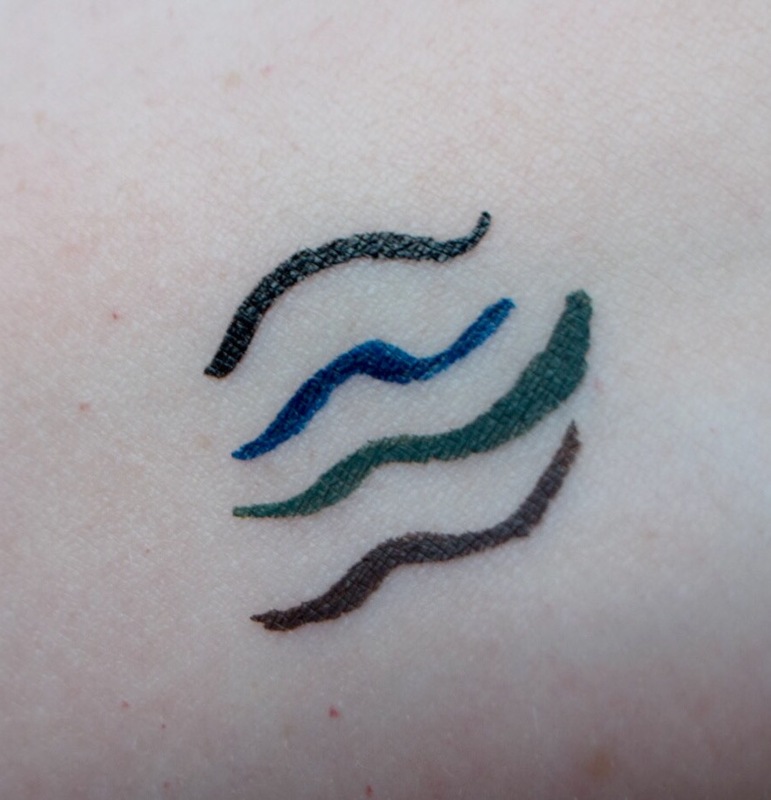 It’s not as hard to remove as some liquid liners can be, but it is waterproof and does take some work to get off. This is now a staple in my daily routine and now you can make it yours!! 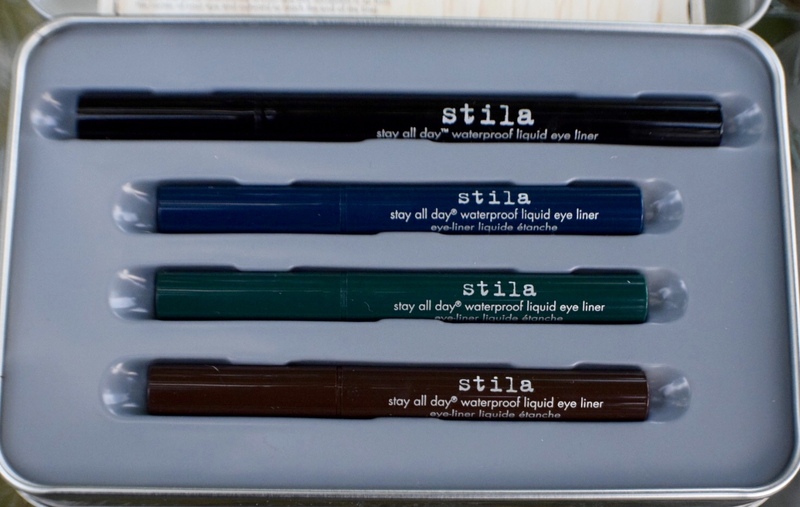 One lucky reader will receive one complete Stila Art of the Fine Line Set. Let me know in the comments below what your favorite liquid eyeliner is. Be sure to leave your Twitter and Instagram names for confirmation of entry. BONUS: Tweet about this giveaway and tag me @hippylip (one entry per day for the length of the giveaway). You can earn up to 9 entries!! **Giveaway ends on December 22, 2015 at 10pm EST. Winner announced here on December 23, 2015. This is not a sponsored giveaway…just me saying thank you to my amazing loyal readers!! 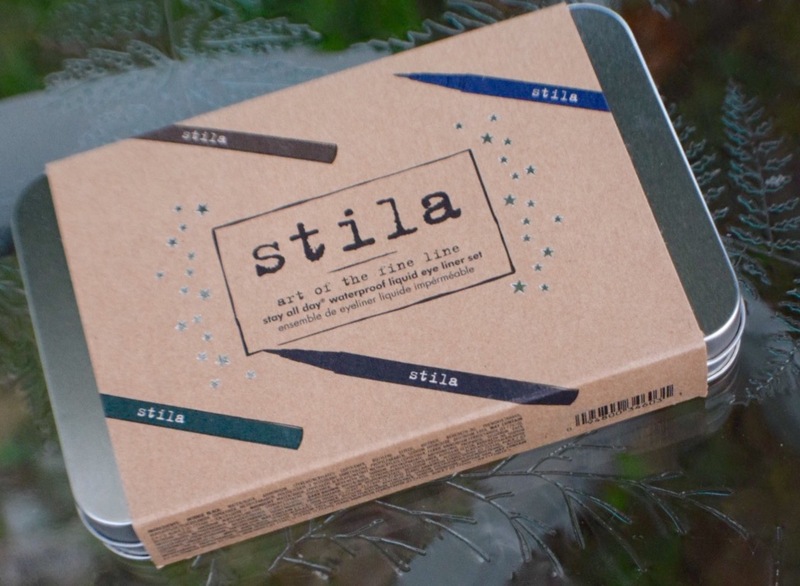 Next Stila GIVEAWAY; A few Minutes Left….Hurry!! This is the best liquid liner!!!! I love it!!! Thank you so much!I will check it out soon!! I 100% agree. It’s the easiest I’ve come across. I just spent double on Guerlain’s liquid eyeliner and made a huge mess. Lol Thanks for reading!! Good luck!! I used to agree…KVD was my favorite too until I noticed it dried up before it’s halfway gone. I got tired of wasting money. I don’t wear liquid liner everyday so I like them to last. Thanks for reading!! Oh no! Sorry you experienced that. I don’t blame you, they should last longer than that! Thank you! I still love it but after the 3rd one drying out (from different stores), I tried Stila and so far…no drying. It took me a long time to find one that I was comfortable with. There are a few that work great….I just can’t get them to work great and I think Stila is a little easier to work with than most. Thanks for following and good luck! Thanks for following. Kat Von D was my #1 until I found this one! Good Luck!! That’s ok Meagen you are entered 😬. I really have to try e.l.f’s liquid liner!!! Thanks for following and good luck!! I enter giveaways all the time!! No worries. I love to support other bloggers and spread the word. Have you ever seen those accounts that have no real pictures and it’s all giveaways? Only giveaways and Not just makeup. No interaction or conversation on those accounts. I think you would LOVE this liner! It’s really easy to use. I’m terrible at perfecting the straight line. Lol Good luck and thanks for following!! Thanks Angela. I really should take that part out. Lol. I don’t mean to offend anyone, I just had a lot of weird things happen last time. 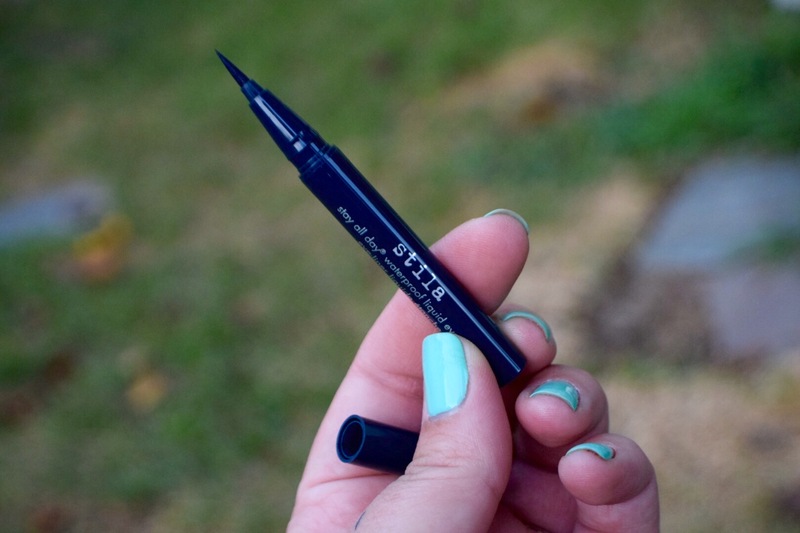 I have a sample of Benefit’s push up liner….I need to try it now. Happy Holidays!! Thanks for following!!!! You’re entered…good luck! Haha I hate to sound mean….but I actually had fake accounts set up just for free stuff!! Don’t worry I know you’re real!!! Ok why I am I just now seeing this ?lol I actually like wet n wild H20 liquid liner, because when it’s on…it’s on lol. lol I just posted it an hour ago. YAY your not the last one this time. Good luck!